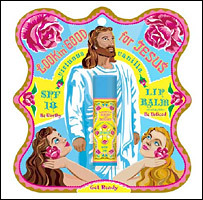 In what must be the most “out there” cosmetics campaign in recent years, someone in Singapore came up with a line of Lookin’ Good for Jesus cosmetics. The line included a “Virtuous vanilla” lip balm, which doesn’t sound too naughty but then the inuendo took over, and a “Get Tight with Christ” hand and body cream made it to the cosmetic counters. Let’s hope it doesn’t tingle. The Catholics got upset and the company withdrew the products. If they had been in Latin America, they could have repackaged the whole line with a picture of heh-SOOS, some good looking guy with the same name as Jesus and they would have saved themselves the fuss. I wonder what Ace and Laurie Kendrick would have to say about “Looking Good for Jesus”. Marketing our Lord and Savior and other Biblical references is nothing new. I just had some Gallilee Press On Nails put on all ten of my digits and of course, i have a 10-pack of wintergreen Command Mints in my purse. 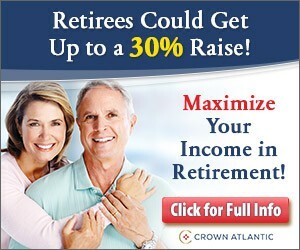 Oops..I’d love to stay and chat but my Palm Pontious Pilot is ringing. “Get Tight with Christ” LMAO! ….oh pardon me…I mean, how funny! I think there’s a market for Laurie’s Command Mints. I wonder if they make a product to clean the spewed coffee off of my keyboard and monitor! Oh, you must mean the “Wash Your Sins” screen cleaner, GM. Sorry I’m late. My Calvary’s Own Foot Pumice Stone routine took longer than I thought. Then, I had unexpected guests for lunch; fortunately, those Galilee Fish and Chips Individual Lunches I had in the freezer really go a long way.